We repair all iPhones from the latest iPhone 8s to legacy iPhones such as the iPhone 5. Whether you have a broken screen, a non-functioning button, antenna, or one of many issues that plague your iPhone we can fix it! Call your location today to get a quote or come visit our store to have your device fixed in minutes while you wait. We guarantee our parts against defects! 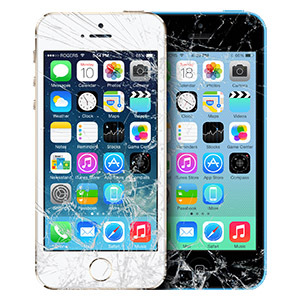 By having your iPhone repaired at Cellaxs know that you will be supported by our product warranty on defects and workmanship. iPhone Screen Repair: Dropped your phone by accident? We have OEM quality screens so your screen can look brand new! iPhone Speaker Repair: Speaker sound garbled or more quiet? Bring it to us and we can have it fixed for you fast! iPhone Battery Repair: Does your battery level seem to drop fast? Actively used phones often lose capacity over time. Get a free diagnosis to see if your battery needs to be replaced. iPhone Charging Port Repair: Phone no longer charging? Bring it to us and we can help you replace your broken charge port!